In February, 8 PhD students of both SFBs, SFB-TR87 and SFB 1316, attended a language school in London for one week. The focus of this week was "presenting in English". In small groups of 4 PhD students with one teacher each they learned a lot about structuring a successful presentation and delivering arguments clearly and convincingly. Besides studying English phrases for presentations and leading discussions, they also discussed rhetoric and body language. By giving many prepared and spontaneous talks in the class, they applied directly what they have learned. During the week they deepened their knowledge not only in presentation skills, but also in British culture and literature by reading common novel paragraphs such as Oscar Wilde. Besides the English workshop the group enjoyed the stay in London and went for example to the musical Alladin and visited the British museum and the Tate modern. 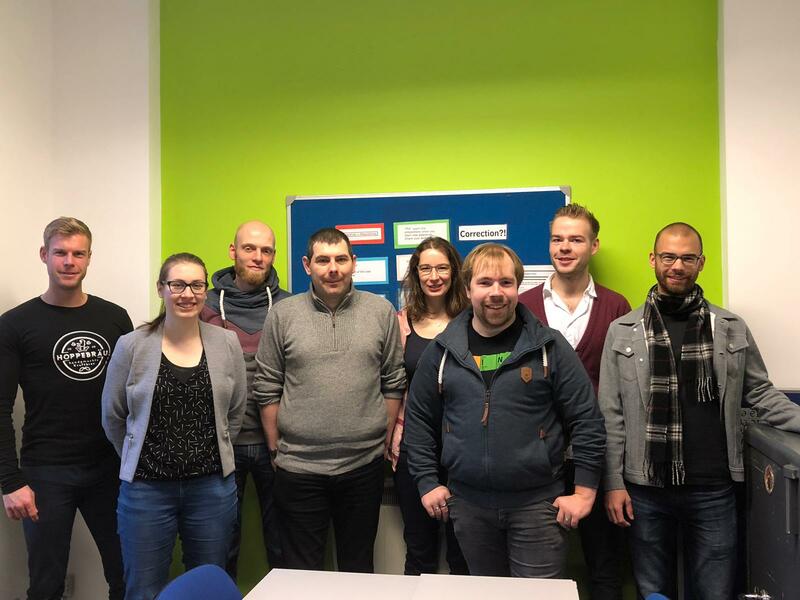 All in all, it was a successful week and the Phd sstudents from Bochum, Aachen, Cottbus, and Paderborn are grateful for the opportunity and support by the SBFs for this workshop. Prof. Satoshi Hamaguchis research focus on plasma-material interactions in general, including their industrial applications. The aim of research is to understand fundamental mechanics of plasma-material interactions under various conditions. To achieve this, we combine plasma/beam experiments with numerical simulation/modeling. More specifically our current research topics include 1) etching, deposition, and surface modification processes for micro/nano electronics device manufacturing, 2) surface modification and functionalization of biomaterials by plasmas, 3) processing of water and biological systems by atmospheric-pressure plasmas mainly for applications in plasma medicine and plasma agriculture, and 4) dynamics and chemical reactions in plasmas under various conditions, including atmospheric-pressure plasmas. 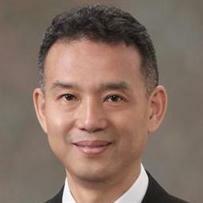 Prof. Hamaguchi is also coordinator of the JSPS core-to-core program "Establishment of the Center for Collaborative Research in Data-Driven Plasma Science " that connects Osaka university with Ruhr University Bochum, and the universities in Bologna, Aix-Marseille, and York. In the framework of this program the sending side covers international airfare and the receiving side covers maintenance and the domestic travel costs. The hosting side covers the cost of holding the seminars. 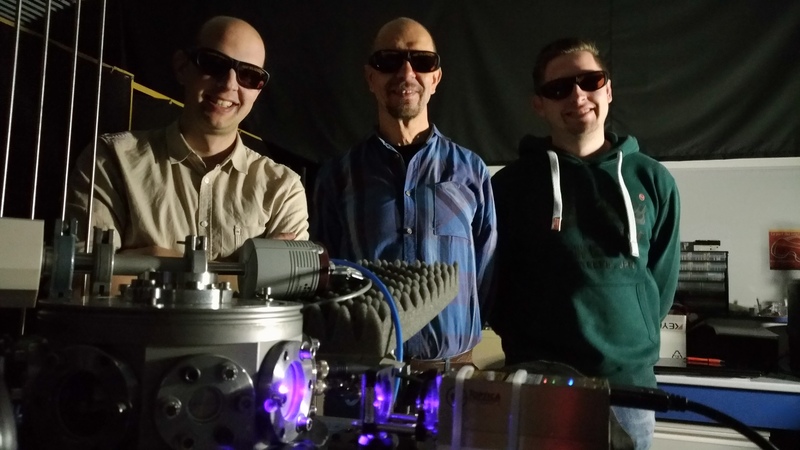 From 18. to 28.02.2019 Simon Kreuznacht and Dr. Volker Schulz-von der Gathen visited Dr. Sylvain Iseni within the long term cooperation with the group of Remi Dussart at the GREMI – a CNRS instute located at the University of Orléans. During that stay they prepared a laser diagnostic measurment of the gas temperature very close to the surface of a DC driven micro-cavity discharge array. The traditional summer school on low temperature plasma physics will go on in Octobre this year. The summer school takes place in Physikzentrum in Bad Honnef and is from Octobre 5th, 2019 until Octobre 10th, 2019. After the school, the master class will be from Octobre 10th, 2019 until Octobre 12th, 2019. 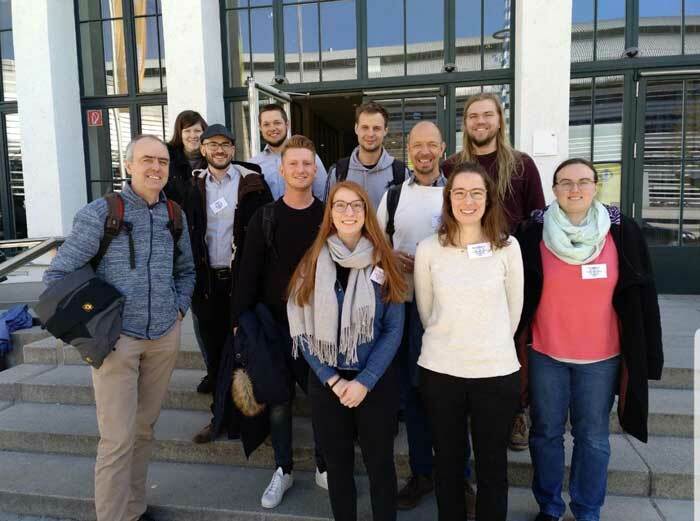 From 17thuntil 22ndMarch 2019 the annual DPG spring meeting was held at the Technische Universität München. Scientists from the research fields plasma physics, matter and cosmos and laser physics from all over Germany discussed their recent results. The EP2 group attended the conference with 4 presentations and 5 posters. Plasma scientists from four working groups (AEPT, TET, EP2, EP5) of both SFBs (SFB-TR 87 & SFB 1316) attended the conference. The group of Prof. Dettmar from the Astronomical Insitute contribute to the special issue of the journal "Astronomy & Astrophysics". A team of astronomers from the Ruhr-Universität Bochum (RUB) has studied one of the discovered galaxies in detail and found a characteristic radiation distribution that suggests processes in the formation of galaxies and our Milky Way. Lofar is a vast European network of radio telescopes linked together by a high-speed fibre-optic network, whose measurement signals are combined into a single signal. Powerful supercomputers convert 100,000 individual antennas into a virtual reception dish with a diameter of 1,900 kilometers. Lofar operates in the frequency ranges between about 10 to 80 megahertz and 110 to 240 megahertz, which have so far been largely unexplored. It is controlled by the Astron research facility in the Netherlands and is considered the world's leading telescope of its kind. There are six measuring stations in Germany which are operated by various scientific institutions. Dr. Arpad Miskolczi of the RUB Chair of Astronomy is one of the first authors of the collection of research results, all based on the analysis of a first phase of the multi-year project. In collaboration with international colleagues, he has investigated one of the many newly discovered galaxies in more detail. The object with the catalogue name NGC 3556 shows a characteristically different radiation distribution in the radio range than in visible light. &quot;From this we conclude that the accumulation of numerous huge stellar explosions, so-called supernovae, releases so much energy that the gas between the stars, interspersed with magnetic fields and particles of cosmic rays, leaves the galaxy,"; explains Prof. Dr. Ralf-Jürgen Dettmar. These processes have influenced the evolution of Milky Way systems over billions of years. By comparing different such objects, the researchers hope to gain information about the origin of our own Milky Way. With the help of Lofar, scientists have been able to create a new sky map. Many of the galaxies depicted were previously unknown because they are extremely far away and their radio signals have to travel billions of light years to reach Earth. When scientists observe the sky with a radio telescope, they mainly see radiation from the vicinity of black holes, which are millions of times heavier than the sun. With Lofar, the researchers want to find out what influence the black holes have on the galaxies in which they are located and where they come from. Thanks to Lofar's sensitivity, the teams have already been able to show that black holes are present in all giant galaxies and that they are constantly growing. The radio radiation received by Lofar can also be used to measure cosmic magnetic fields. The researchers have also been able to detect magnetic structures between galaxies, thus proving theoretical assumptions for the first time. The fusion of two clusters of galaxies produces radio emissions - so-called radio halos - with a size of millions of light years. With Lofar they can be tracked down. The researchers learn a lot from this about the gas at the edge of the gigantic clusters of galaxies. The creation of low frequency radio sky maps requires both considerable telescope and computational time and requires analysis of the data by large teams. &quot;Lofar produces gigantic amounts of data - we have to process the equivalent of ten million DVDs. This places the highest demands on software and hardware and is only possible through an international and interdisciplinary team,"; says Prof. Dr. Dominik Schwarz of Bielefeld University and representative of Germany to the Lofar steering committee. &quot;In Germany, we worked together with Forschungszentrum Jülich to efficiently convert the huge amounts of data into high-quality images. These images are now public and will allow astronomers to study the evolution of galaxies in unprecedented detail,"; adds Prof. Dr. Ralf-Jürgen Dettmar. The Forschungszentrum Jülich accommodates around 15 petabytes of Lofar data. &quot;This is almost half of all Lofar data, one of the largest astronomical data collections in the world. The processing of these gigantic data sets represents a great challenge. What would have taken centuries on conventional computers could have been reduced to one year by using innovative algorithms and extremely powerful computers,"; says Prof. Dr. Dr. Thomas Lippert, Director of the Jülich Supercomputing Centre. Jülich is one of the three data centres of the Lofar project. In addition, the Jülich Supercomputing Centre manages the data network traffic between the German Lofar stations and the central Lofar computer in Groningen. The 26 papers now published in a special issue of Astronomy &amp; Astrophysics are based on only about two percent of the observations planned with Lofar. The scientists now want to map the entire northern celestial sphere. After all, they expect to find around 15 million radio sources. The original press releases can be found here. The Research Department would like to welcome three new members within the community of scientists of the RD Plasma. Two well-known members of the RUB also join the Research Department with their expertise, Prof. Dr. Martin Hoffmann (Microsystems Technology) and Prof. Dr. Nils Metzler-Nolte (Bioinorganic Chemistry). Furthermore, a new member of the RUB at the institute for astro physics, the ERC Grant awardee Prof. Dr. Hendrik Hildebrandt enlarges the group of members within the Research Department. The next Plasma Day will be on September 30th, 2019. Please mark this date in your calendar.